This week concludes the fifteen day celebration of the Lunar Festival! 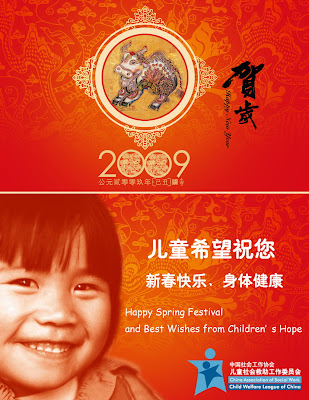 Happy New Year to all of our completed and waiting families in the China Program; Happy Tet to all those in the Vietnam Program! Chinese New Year Day and Tet are typically in early February, but due to lunar cycles, this year it was celebrated on January 26. The Lantern Festival, also known as “Yuan Xiao Festival,” takes place on the fifteenth day of the first moon and signals the end of the New Year celebrations. Last in a series of springtime celebrations, this second New Year is widely celebrated by Asian families all around world. In the Chinese tradition, specifically, the beginning of a new year is marked by a bright full moon in the sky. Accordingly, families hang colorful lanterns for everyone to enjoy. The traditional celebration dish for the Lantern Festival is yuanxiao, a sweet treat. The balls are made with butter, sesame, sugar and a special rice flour that gives them a jelly-like texture. A Little Chinese Fun and Trivia! 2008 was an unusual year in China with earthquakes, floods, cyclones, tornados, fire, and the global financial crisis. Discover what 2009 has in store by reading your Chinese Horoscope. View amazing photos from China’s 2009 Lantern Festival Celebration in Taiwan, in Hubei, Shaanxi, Jiangsu, Jilan, Qinghai , Hanoi Provinces and in the cities of Tianjin, Shanghai and Beijing. Find more ways to celebrate the New Year throughout February! Contact your local Families with Children from China Chapter for more events! See How Children's Hope Families Celebrated! These are just a start! Find the many Children's Hope families, both completed and waiting, that share their blogs on the Children's Hope blogroll. Find your favorite Lunar Celebration post and share it with us in the commment section, or post your own! Chuc Mung Nam Muoi! Gung Hay Fat Choy!